In June 2012 the Obama Administration announced the new policy of Deferred Action for Childhood Arrivals (DACA) which provides temporary immigration authorization for young undocumented immigrants who came to the U.S. as children and have grown up as promising members of U.S. society. 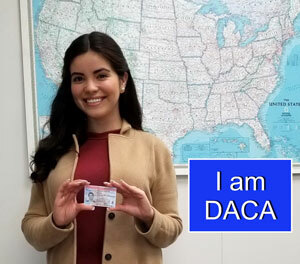 The EJC immediately saw DACA as an historic opportunity to advance immigrants’ struggle for fair treatment in- and outside the workplace, especially since (1) work authorization and legalized employment are two of the principal benefits of DACA; and (2) almost all DACA-eligible young people are from families headed by undocumented workers. As EJC sees it, DACA is essentially a down payment on the DREAM Act. Therefore from the very outset of the DACA program, EJC has employed a full-time staff attorney-specialist, plus volunteers, to help our client families prepare and submit DACA applications. EJC’s DACA attorney, Caitlin Boehne has helped more than 100 young people prepare and submit applications. For the first time, these undocumented youth can come out of the shadows and contribute to their society in the fully meaningful way they are so eager to do. Jonathan can finally accept the invitations he has received to travel abroad to showcase his artwork, Dana feels free to speak out about comprehensive immigration reform, Genesis can obtain her license to be an emergency medical technician, and Leopoldo can begin to save for his infant sons’ college education. 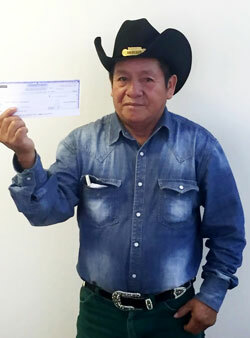 In addition these and other young people who have obtained DACA status say they now feel more encouraged and free to work for the comprehensive immigration reform that can allow their parents and siblings to also come out of the shadows so they too can live and work more fairly and productively as full contributors to their community. 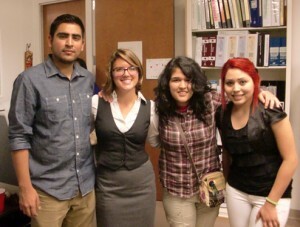 Read more from Austin American-Statesman about EJC’s DACA work.